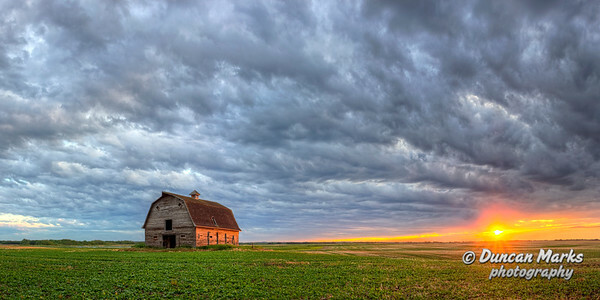 A panoramic photo of a rustic old barn near Lloydminster, Alberta bathed in a golden sunset. Size is 36 x 18 inches. A panorama photo of the foothills west of Calgary. Size is 30 x 10 inches. 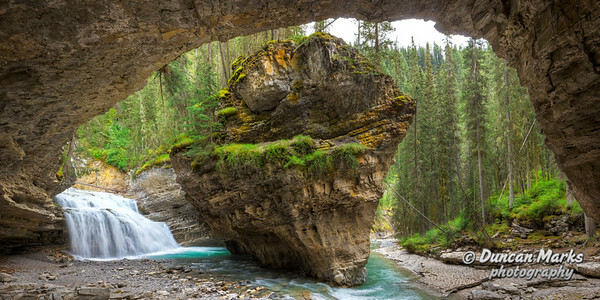 An HDR panoramic photo from inside 'The Vault,' a natural rock cave found in Johnston Canyon in Banff National Park, Alberta. Size is 48 x 24 inches. HDR panoramic photo of the Calgary skyline at sunset. Resolution is 50 x 20 inches. 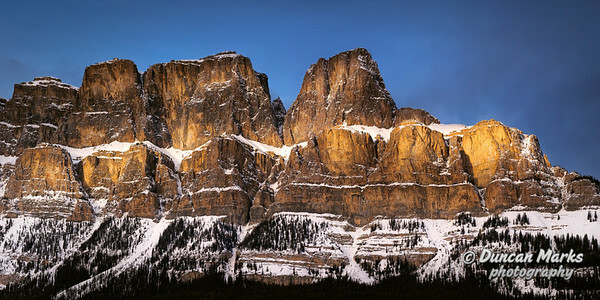 A scenic sunset panorama of Castle Mountain in Banff National Park, Alberta. Size is 36 x 18 inches. An HDR panoramic photo of the Bow River valley and Rocky Mountains in Banff National Park, Alberta. 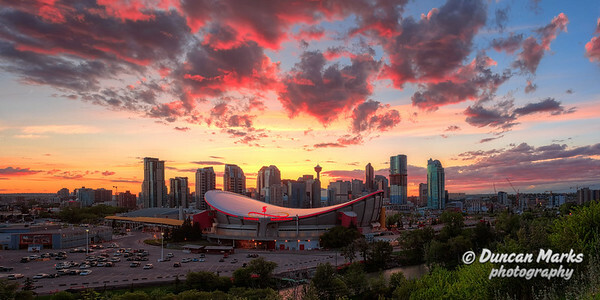 HDR panorama of the Saddledome and Calgary skyline at sunset. Size is 36 x 18 inches. An HDR panorama showing the Alberta foothills at sunset. Size is 30 x 10 inches.